Although therapy must be tailored to the individual, there are, nevertheless, certain principles that underlie cognitive behavior therapy for all patients. I will use a depressed patient, “Sally,” to illustrate these central tenets and to demonstrate how to use cognitive theory to understand patients’ difficulties and how to use this understanding to plan treatment and conduct therapy sessions. Principle No. 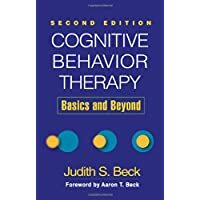 1: Cognitive behavior therapy is based on an ever-evolving formulation of patients’ problems and an individual conceptualization of each patient in cognitive terms. I consider Sally’s difficulties in three time frames. From the beginning, I identify her current thinking that contributes to her feelings of sadness (“I’m a failure, I can’t do anything right, I’ll never be happy”), and her problematic behaviors (isolating herself, spending a great deal of unproductive time in her room, avoiding asking for help). These problematic behaviors both flow from and in turn reinforce Sally’s dysfunctional thinking. Second, I identify precipitating factors that influenced Sally’s perceptions at the onset of her depression (e.g., being away from home for the first time and struggling in her studies contributed to her belief that she was incompetent). Third, I hypothesize about key developmental events and her enduring patterns of interpreting these events that may have predisposed her to depression (e.g., Sally has had a lifelong tendency to attribute personal strengths and achievement to luck, but views her weaknesses as a reflection of her “true” self). I base my conceptualization of Sally on the cognitive formulation of depression and on the data Sally provides at the evaluation session. I continue to refine this conceptualization at each session as I obtain more data. At strategic points, I share the conceptualization with Sally to ensure that it “rings true” to her. Moreover, throughout therapy I help Sally view her experience through the cognitive model. She learns, for example, to identify the thoughts associated with her distressing affect and to evaluate and formulate more adaptive responses to her thinking. Doing so improves how she feels and often leads to her behaving in a more functional way. Principle No. 2: Cognitive behavior therapy requires a sound therapeutic alliance. Sally, like many patients with uncomplicated depression and anxiety disorders, has little difficulty trusting and working with me. I strive to demonstrate all the basic ingredients necessary in a counseling situation: warmth, empathy, caring, genuine regard, and competence. I show my regard for Sally by making empathic statements, listening closely and carefully, and accurately summarizing her thoughts and feelings. I point out her small and larger successes and maintain a realistically optimistic and upbeat outlook. I also ask Sally for feedback at the end of each session to ensure that she feels understood and positive about the session. Principle No. 3: Cognitive behavior therapy emphasizes collaboration and active participation. I encourage Sally to view therapy as teamwork; together we decide what to work on each session, how often we should meet, and what Sally can do between sessions for therapy homework. At first, I am more active in suggesting a direction for therapy sessions and in summarizing what we’ve discussed during a session. As Sally becomes less depressed and more socialized into treatment, I encourage her to become increasingly active in the therapy session: deciding which problems to talk about, identifying the distortions in her thinking, summarizing important points, and devising homework assignments. Principle No. 4: Cognitive behavior therapy is goal oriented and problem focused. I ask Sally in our first session to enumerate her problems and set specific goals so both she and I have a shared understanding of what she is working toward. For example, Sally mentions in the evaluation session that she feels isolated. With my guidance, Sally states a goal in behavioral terms: to initiate new friendships and spend more time with current friends. Later, when discussing how to improve her day-to-day routine, I help her evaluate and respond to thoughts that interfere with her goal, such as: My friends won’t want to hang out with me. I’m too tired to go out with them. First, I help Sally evaluate the validity of her thoughts through an examination of the evidence. Then Sally is willing to test the thoughts more directly through behavioral experiments in which she initiates plans with friends. Once she recognizes and corrects the distortion in her thinking, Sally is able to benefit from straightforward problem solving to decrease her isolation. For example, I briefly turn to the past midway through treatment to help Sally identify a set of beliefs she learned as a child: “If I achieve highly, it means I’m worthwhile,” and “If I don’t achieve highly, it means I’m a failure.” I help her evaluate the validity of these beliefs both in the past and present. Doing so leads Sally, in part, to develop more functional and more reasonable beliefs. If Sally had had a personality disorder, I would have spent proportionally more time discussing her developmental history and childhood origin of beliefs and coping behaviors. Principle No. 6: Cognitive behavior therapy is educative, aims to teach the patient to be her own therapist, and emphasizes relapse prevention. In our first session I educate Sally about the nature and course of her disorder, about the process of cognitive behavior therapy, and about the cognitive model (i.e., how her thoughts influence her emotions and behavior). I not only help Sally set goals, identify and evaluate thoughts and beliefs, and plan behavioral change, but I also teach her how to do so. At each session I ensure that Sally takes home therapy notes—important ideas she has learned—so she can benefit from her new understanding in the ensuing weeks and after treatment ends.